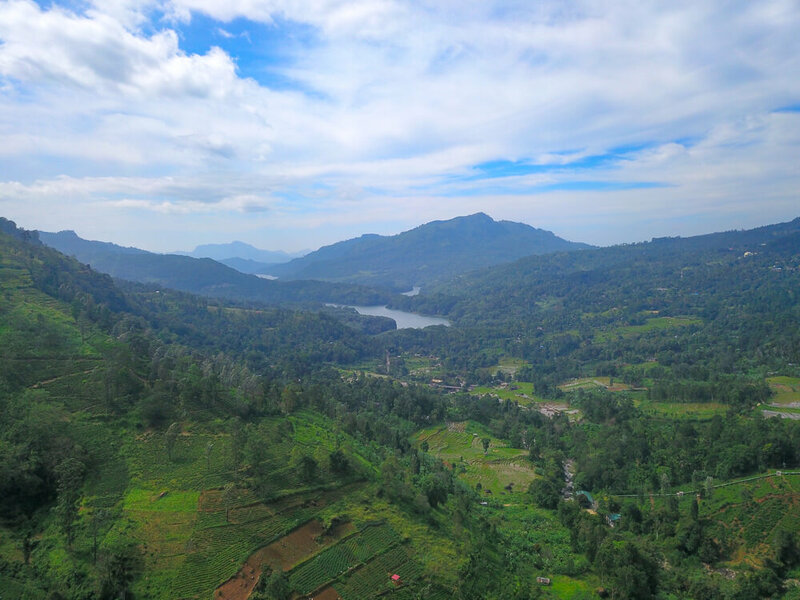 Nuwara Eliya is increasingly becoming a popular stop off amongst those travelling Sri Lanka. There’s so much beautiful nature to see in the surrounding hill country that make it the perfect place to spend a few days. Although the city itself hasn’t been on the tourist radar for too long, there’s a good variety of accommodation available to suit all budgets. Be warned though, nights can be extremely cold in Sri Lanka’s hill country so it’s important to pick accommodation wisely. 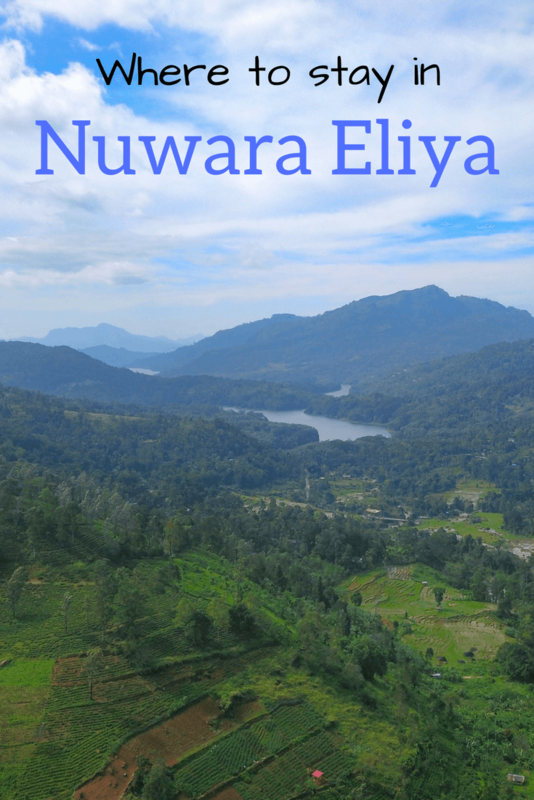 If you are planning to visit, find out more about the city itself and what to do there with this Nuwara Eliya guide. For those wondering where to stay in Nuwara Eliya, Agoda offer fantastic properties in the city for all budgets. For more detail though, read our guide to the best places to stay in Nuwara Eliya. Find out what you need to pack for your trip with this packing list for Sri Lanka. It covers everything you need to take to ensure you have an amazing trip! One of the best budget options available, UYOU Ceylon Guest House is located near the centre of Nuwara Eliya. This property comes with a number of different rooms to suit your budget – with prices starting from around $20 USD (3,120 rupees) per night. All rooms come with breakfast included and the great location make it a perfect place to spend a few nights on a budget in Nuwara Eliya. Click here for Agoda’s latest prices at UYOU Ceylon Guest House. For those happy to have a bit of a walk to the centre of town, Lassana Villa offer rooms at great value. The property itself is located up a hill, which gives a pleasant view of the nearby area. Unfortunately this makes walking to the property a bit tougher, but thankfully you can arrange a tuk tuk to/from the villa for a small fee. As is the case with most budget rooms in Nuwara Eliya, the rooms can be very cold due to the climate. The friendly owner will provide extra blankets on request and there is heating available for an extra cost. Rooms are available from $17 USD (2,600 rupees) and come with a private bathroom, making it one of the best places to stay in Nuwara Eliya when you’re on a budget. Click here for Agoda’s latest prices at Lassana Villa. A popular choice amongst travellers, Villa Cassandra provides everything you need for a comfortable stay. The spacious rooms are fitted with heating, providing the perfect place to relax after a day exploring Nuwara Eliya. With only 5 rooms, the property has a lovely homely feel to it. Staff are very friendly and more than willing to help where they can to make your stay more enjoyable. Rooms are available from $61 USD (9,500 rupees) and come with breakfast included. With just a few rooms available, make sure to book in advance! Discounts are common when booking through Agoda so if you’re lucky they may be cheaper than the price above! Click here for Agoda’s latest prices at Villa Cassandra. If you have the money to spend, Villa Tea Fields comes highly recommended. Although the property is a little further from the city, it more than makes up for this with beautiful views of the surrounding tea fields. 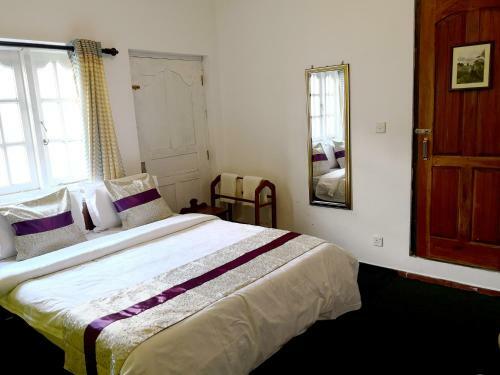 Rooms are well-designed and luxurious, with good quality quilts and heaters provided to keep you warm on the typically cold nights of Nuwara Eliya. Staff are friendly and always more than happy to help anywhere they can. Rooms start from $69 USD (10,700 rupees) per night, which includes free bike rental and breakfast. It’s well worth the money to enjoy a stay at one of Nuwara Eliya’s most special properties. Discounts are common when booking through Agoda so if you’re lucky they may be cheaper than the price above! Click here for Agoda’s latest prices at Villa Tea Fields. The Heritance Tea Factory offers the unique opportunity to stay in a converted tea factory in the middle of Sri Lanka’s hill country. As a result, the property has spectacular views of the surrounding plantations and hills. Everything has been thought of to ensure a comfortable and luxurious stay – from stylish rooms to an on site spa. Thankfully, rooms are also heated to protect against the area’s cold climate. Despite being located 15km away from Nuwara Eliya itself, it’s the location that makes this property so special. We’ve seen discounted rates on Agoda from $168 USD (26,200 rupees) per night, although prices may be higher or lower than this. If you’re looking to relax in a room with a view, treat yourself to a stay at one of Sri Lanka’s most exclusive hotels. Discounts are common when booking through Agoda so if you’re lucky they may be cheaper than the price above! Click here for Agoda’s latest prices at Heritance Tea Factory. Built in the mid-1800s, Ferncliff Bungalow gives you a real taste for Nuwara Eliya in the colonial days of Sri Lanka. This English style bungalow has a charming feel, situated in a peaceful spot just outside of the city for your convenience. One of the property’s many highlights is the beautiful gardens on the grounds – where you can spend the afternoon relaxing or even playing a game of croquet! Inside you’ll find the perfect escape from the cool nights of Nuwara Eliya, with a fireplace in the lobby and heating in the rooms. We’ve seen discounted rates on Agoda from $128 USD (20,000 rupees) per night, although prices may be higher or lower than this. The property has limited availability so it’s important to book in advance if you want to enjoy one of the lavish rooms here. Discounts are common when booking through Agoda so if you’re lucky they may be cheaper than the price above! Click here for Agoda’s latest prices at Ferncliff Bungalow. Like our recommendations for the best places to stay in Nuwara Eliya? Pin them!